work and examples on this page. Australian designer based in Japan and Australia with over 15 years of professional design work. 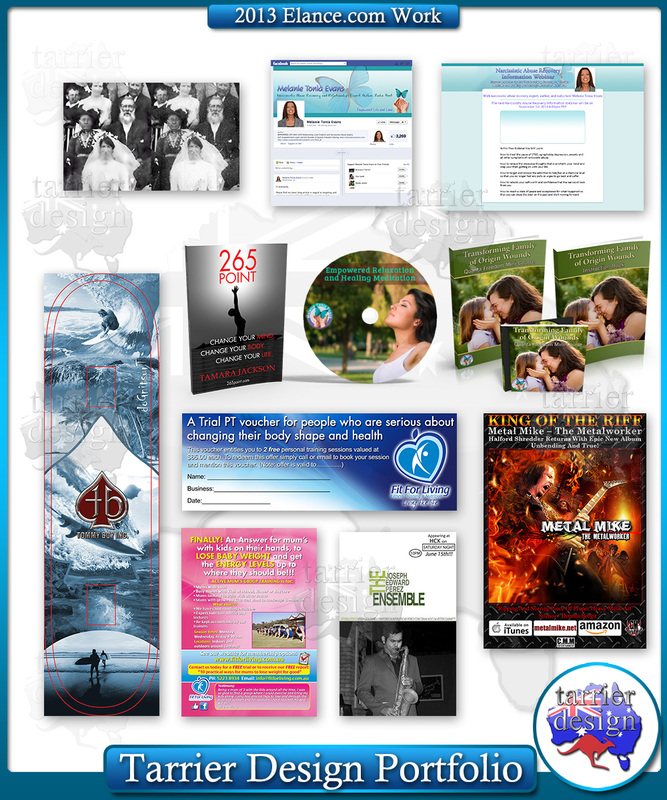 Facebook, Twitter, Youtube, Print books, eBooks, CDs, DVDs, websites, artwork, graphic design and layout, books, covers etc. My clients from around the world from large businesses and entertainment superstars to the guys next door. I started off doing Point of Sale and in-store displays and advertising for retail stories in the 1990s. Started with Windows 3.1 and Amiga computers! Progressed through to the Adobe suite of products in 1998 and have been using them ever since. We use Adobe products on Apple Computers. Weekends and Public Holidays: By request/Job urgency. Above: Designs by Tarrier for clients from around the world in 2013. 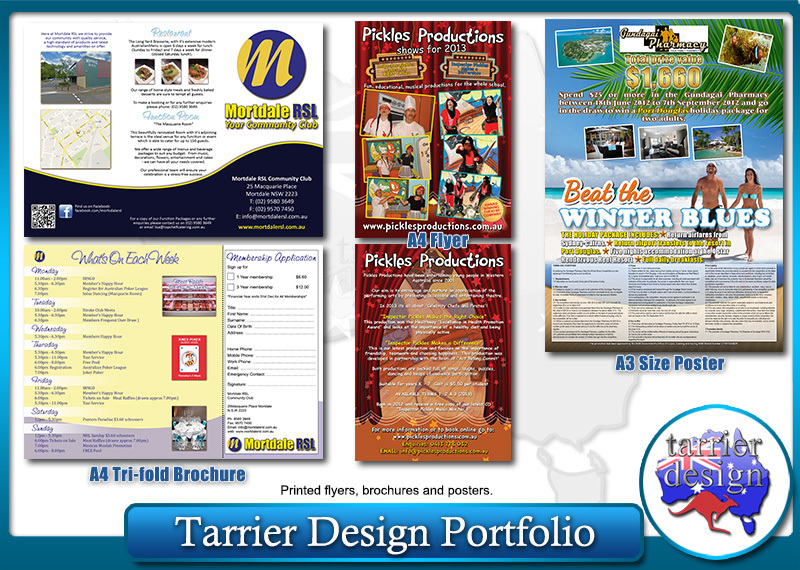 Above: Business Designs for many different clients. 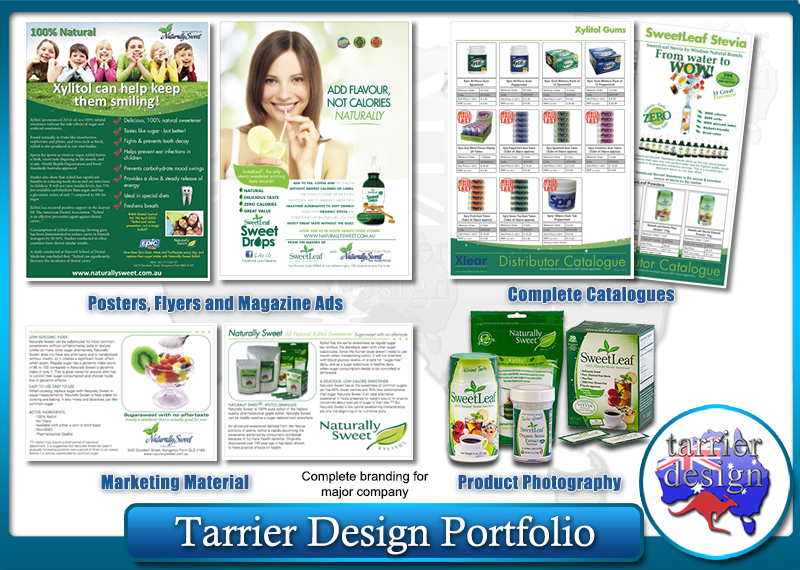 Above: A wide variety of Designs for Naturally Sweet Products Australia. 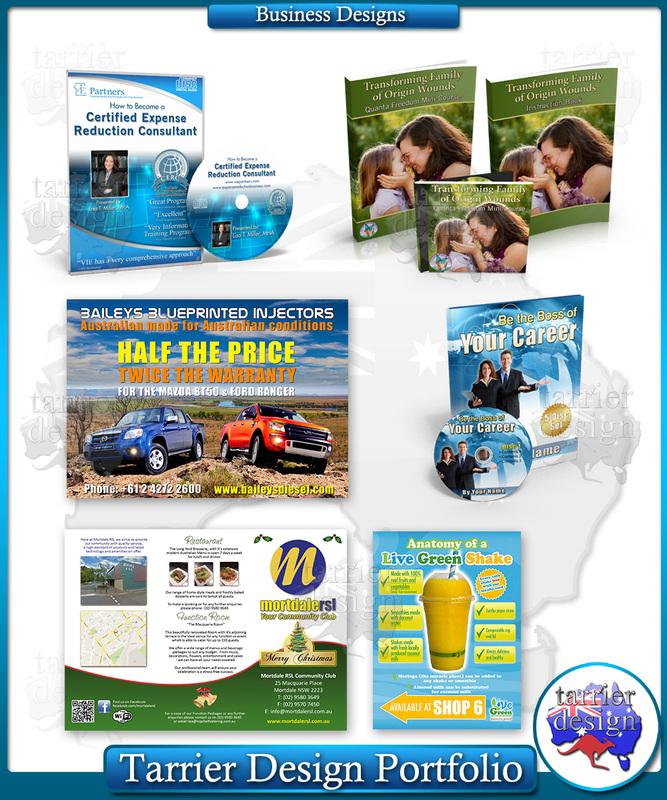 Above: Posters and Brochures for Australian Clients. 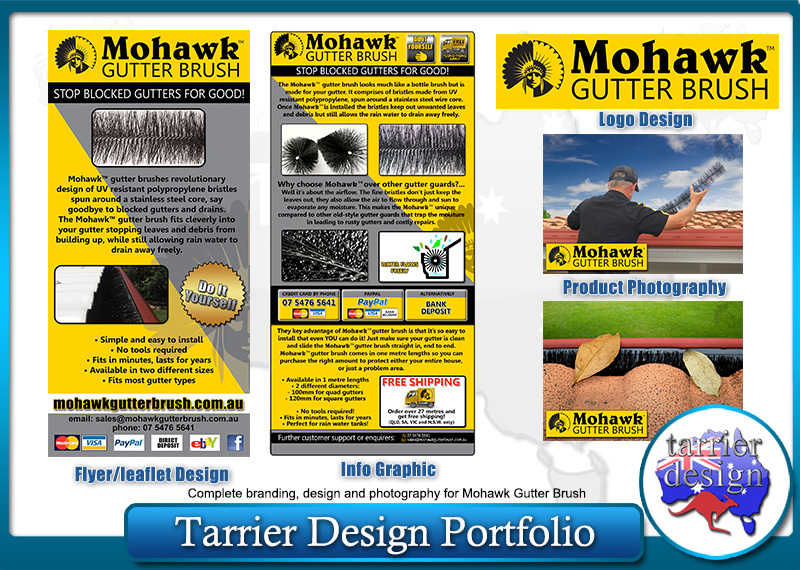 Above: Design and Branding for Mohawk Gutter Brush Australia. Below you can visit some of my other websites. Sunshine Coast, Australia. Looking for quality photos of one of Australia's premier tourist destinations, look no further. Our photogrpahers grew up on the Sunshine Coast. I have created a lot of book covers for many self-publlishing authors. Suiteabel for PDFs, EBooks, Createspace, Lulu.com and all major self-publishing services. We also make custom covers to fit all your needs, for books, and publications of all sizes. Keith Tarrier Photogrpahy, my photographic website showcasing my photos from nearly 2 decades of using digital cameras to capture the world's beauty.